You’ve done it—you called professional realtor Rose Depoe, you found a new home that you’re moving into soon and your old home is listed, ready to be sold. What an exciting process! And congratulations on committing to this next adventure in your life! When it comes to selling your home, appearance is everything, and there are oh-so many inexpensive things you can do on your own to improve the saleability of your home! Even something as simple as lighting a chocolate chip cookie scented candle in your home can make a huge difference when it’s being shown—you want to make the space feel like a home, not a house! When showing a home, the goal is to help potential buyers see themselves in the house. We know you’ve built so many memories in your old home, but buyers want to be able to envision their family in the home, not your family. Check out this list of simple and inexpensive ways you can easily improve the saleability of your home today! 1. Maintain your front, back and side yards. We said it before and we’ll say it again—selling your home is all about appearance. When potential buyers pull up at the property, the first thing they are going to see is the front yard, and the last thing you want to feature is an overgrown yard full of dead leaves and broken branches. If that’s what your yard currently looks like, roll up your sleeves and get to work! The most important things to focus your energy on are the lawn (which should be green and groomed, not brown and wild) and any large trees or bushes. In short, if you stand in the street, look at your home and smile, your yard is probably lovely! If, on the other hand, you tilt your head, grimace and say, “Ehhh,” when you peek at your home, it’s likely you have a little more work to do. 2. Give the exterior and interior a fresh coat of paint. If you happened to have saved paint from when you first moved into your home, slap a few fresh coats of paint on the walls in your home and on your home’s exterior—good as new! If you have not saved extra paint or don’t want to invest in multiple gallons of new paint, buy a small can of paint and focus your efforts on repainting shutters and trim outside. Increasing the curb appeal is crucial, and you will be surprised how much something as simple as a fresh coat of paint can brighten your home. 3. Hire a professional cleaning crew. Hiring a professional cleaning crew to deep clean your home is highly advisable. It’s not that we doubt your cleaning abilities, but professional housekeepers know how to get into nooks and crannies that may go overlooked, and they know the proper tools and products to use to get the job done right. If hiring someone is out of your budget, grab the family and conquer the whole house, focusing on corners in each room (both high and low) and whatever you do, do not forget to clean your windows! Yes, both inside and outside. Dirty, clouded windows with sticky handprints are not going to make potential buyers smile and think, “There’s no place like home!” If you happen to clean right before a showing of your house, make sure to open up windows to circulate fresh air and prevent the house from smelling like chemicals and cleaning products. 4. Minimize clutter, knickknacks and limit the number or family photos you display. As we mentioned, someone who is interested in potentially buying your home wants to step into the house and envision their family living there. So if every bit of counter space is jam-packed with your family photos, Little League trophies and other assorted knickknacks, the potential buyer is going to have a hard time picturing their family in the home. Get an early start on packing and tuck away the clutter. It’s okay to leave out a few family photos to give the home a warm, family-focused vibe, but don’t overdo it. Think minimalist. 5. Show off how open and spacious the house is. 6. Replace doorknobs and handles to cabinets and drawers. Just like applying a fresh coat of paint will brighten your home’s exterior, installing new doorknobs and handles on cabinets and drawers will immediately brighten your home’s interior. If the doors and cabinet doors in your home are in excellent condition, simply replacing the handles will give the appearance of a completely remodeled interior. Awesome! If you can’t work replacement handles and knobs into your budget, give your current handles, knobs and doors a good scrub. You’ll be surprised how shiny and new they will look after you put a little elbow grease into them. If your current cabinets are equipped with child proof locks and stoppers, remove them. You don’t want potential buyers to have to work to get cabinets open, you want the entire process to be easy and seamless for them. 7. Spruce up the entrance to your home. Make a potential buyer smile before they even enter the home, and you’ve already won half the battle. 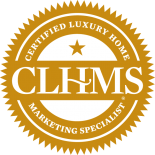 You want to make the buyer feel welcome and at home. Invest in a clean, new “Welcome” mat and pot of flowers to keep by the entrance. If your front door is a little beat up, hit it with a fresh coat of paint and change out the door knob. If your front door has windows, make sure they are as clean as can be. And if you happen to have a doorbell, make sure it is in good working condition. Remember—you never have a second chance at a first impression! 8. Give your flooring and carpets a little TLC. When you’re living in your home, it can be hard to see just how dirty your carpets are or how scratched up your hardwood flooring is. Once you have moved furniture out of the way and are consciously examining the status of your carpet, you will see why it needs a little love. If hiring someone to clean your carpets and buff your wood floors is outside of your budget, a carpet shampooer and walnut will provide the quick fixes you need. If your hardwood floor has deep and extremely noticeable dings and scratches, rub a walnut on the scratches to cover them up (but first double check the floor’s finish and material to make sure you aren’t going to damage the floor instead of repair it). When it comes to shampooing your carpet, it will take you for-eh-ver to clean every single inch of the carpet. Instead, focus your efforts on the big, visible stains and spills. Doing away with those dark spots will immediately give the appearance of a bright, clean carpet. 9. Pay attention to light fixtures and light bulbs. When you deep clean your home, don’t forget to pay special attention to light fixtures and lamp shades. When fixtures are up high and out of your immediate line of sight, it’s easy to forget about them. After time, light fixtures, ceiling fans and lamp shades collect obscene amounts of dust and all look like they are wearing fuzzy, grey sweaters. Dust, spray and clean those fixtures, shades and fans, and make sure you change out dim and busted light bulbs. You want the house to look clean and bright, and a dim bulb is going to rob you of that opportunity. 10. Call trusted real estate professional Rose Depoe. At Rose Depoe, we understand that selling an old house and buying a new house can be an exciting but stressful experience, which is why we are here to help make the experience fun and stress-free! 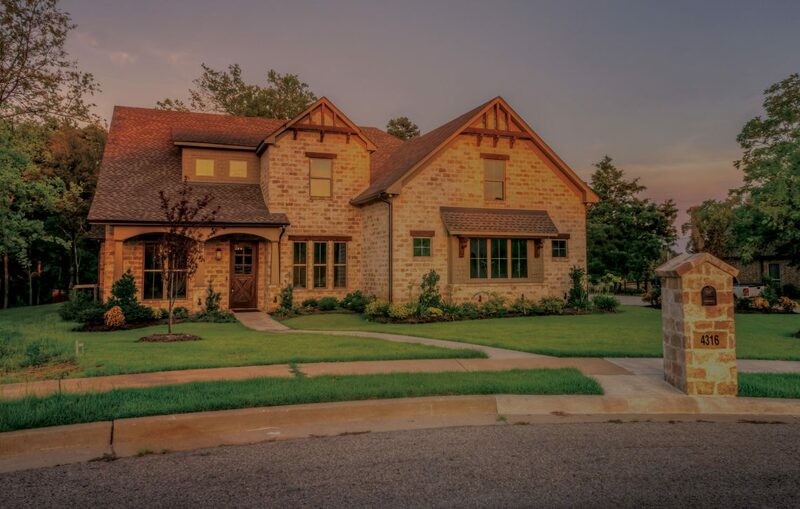 If you live in the Dallas-Fort Worth area and are interested in buying and/or selling a home, give the professionals at Rose Depoe a call today. We look forward to hearing from you and helping you succeed during this new adventure in your life!